Nov 14, 2012 in "Epcot International Flower and Garden Festival"
Even though we are just heading into the holiday season, Disney is already looking ahead to Spring 2013 with a few of the plans for the 2013 Epcot International Flower and Garden Festival. Celebrating its 20th year, the Epcot International Flower and Garden Festival will run from March 6 to May 19 2013. The front of park area will feature the Fab 5 in a celebratory barbecue scene. 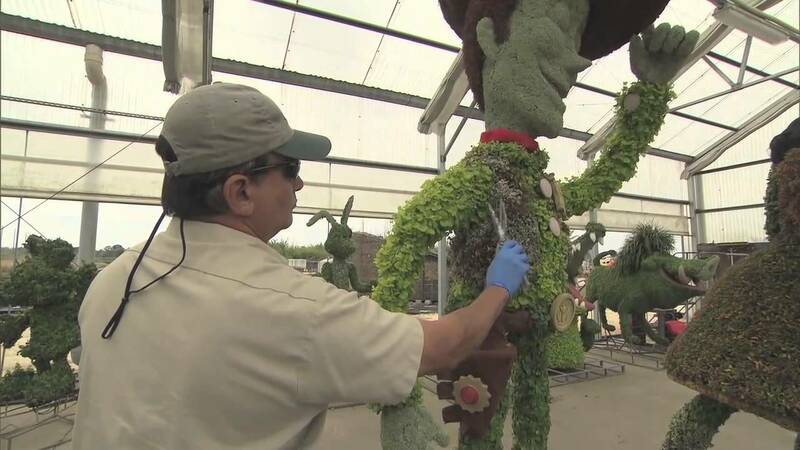 A 14ft tall Goofy topiary will be holding an anniversary cake, with Mickey working the grill, Donald and Daisy playing badminton, Pluto grabbing the hot dogs, and Minnie sitting on a blanket of flowers. Also new will be Monsters Inc topiary featuring Mike and Sully, part of the Disney-Pixar Monsters University promotion. Staying with Pixar, the Test Track Walkway will be home to a "Cars" playground. The Flower Power Concert Series will be back, with Micky Dolenz opening the event on March 8-10. Other pop acts set to perform include Chubby Checker & the Wildcats, The Guess Who, Paul Revere & The Raiders and Herman’s Hermits starring Peter Noone.